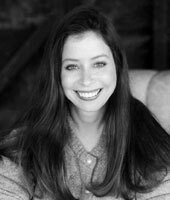 In August 2001, Rachel Belofsky created the ScreamFest Horror Film Festival & Screenplay Competition in order to give filmmakers and writers in the horror genre a platform to showcase their work to industry professionals. Now in its 11 th year, Ms. Belofsky has watched the horror genre grow and is thrilled that Hollywood has taken notice of its widespread audience. In 2001, ScreamFest was a two-day festival and by 2002, Rachel had single-handedly turned it into a four-day event with such talent as Wes Craven and William Friedkin in attendance. In 2003, it branched into a 9-day festival and industry heavy weights such as John Carpenter, John Landis, Roy Lee, Stan Winston, Tobe Hooper and Wes Craven formed the ScreamFest Advisory Board. In February 2004, Academy Award-winning special effects master/producer/director Stan Winston became a partner in the festival. In 2007, Screamfest discovered and premiered PARANORMAL ACTIVITY. A month prior to its screening, Ms. Belofsky sent the screener to CAA on an exclusive tip. CAA signed director, Oren Peli, for representation. Producer/Writer Rachel Belofsky formed her own production company “Candy Heart Productions, LLC” in 1999. In addition to producing and writing, Ms. Belofsky has worked as a sales agent for several film markets including the American Film Market (AFM) and the Cannes Film Festival. In 2000, Rachel executive produced and produced the multiple award-winning FAST WOMEN , a documentary about women in auto racing. The documentary film aired nationally in October 2001, on Canada 's WTN (Women's Television Network). It aired nationally in the United States on the Women's Entertainment Network (WE) in November 2001. The film received both critical acclaim as well an extraordinary audience and WE aired the film eight more times throughout the contract year. FAST WOMEN won the BEST DOCUMENTARY AWARD at the Angelciti Film Festival in Chicago and BEST SPORTS DOCUMENTARY at the New York Independent Film & Video Festival.